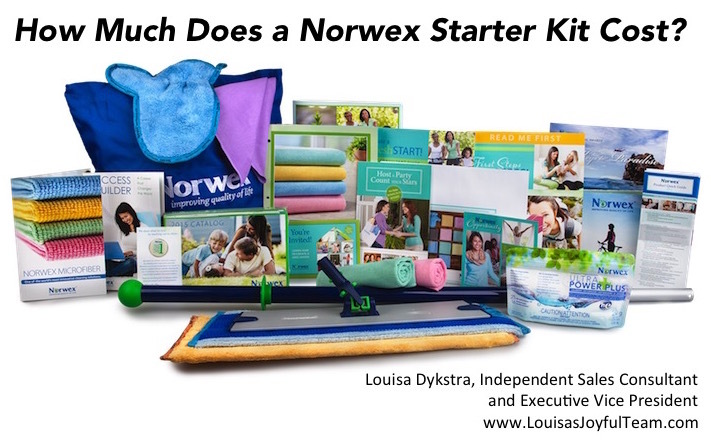 What Does a Norwex Starter Kit Cost? I’m so glad you asked, because how it works is pretty cool. That’s right! The only thing you have to pay to get started is $9.99 shipping for your starter kit. The rest isn’t due for three months!!! Norwex lets you earn the money FIRST, then pay for your kit! And because we make an amazing 35% commission right from the beginning, you earn enough to pay for your kit with your first $600 in sales. Most people do that at their very first demonstration! More than half of our consultants NEVER have to pay for their Starter Kit! Because when you submit $2000 in sales within your first three months, then you don’t ever have to pay that $200!!! As soon as you order your starter kit, you have access to training calls and videos to help you get a strong start so you can earn your kit for free PLUS all the bonus free product available in your first couple months! I would love to support you in going for your dreams! Read more and get started at www.MyJoyfulTeam.com.